Productivity-enhancing IT products and services are changing the way businesses work. What once were siloed technologies – conferencing, messaging, document collaboration, mobility and productivity suites, for example – are coming together in what CDW calls the digital workspace, where technology silos unite to enable any-time, any-place connections. Immediacy and quality of connection between coworkers or between companies and customers help create competitive advantage. 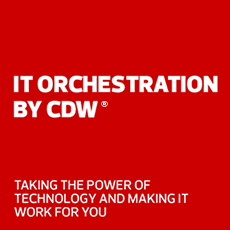 In a study performed for CDW earlier this year, with results outlined in The Modern Workforce Insight Report, organizations reported investing in an average of eight workspace solutions, with more than half saying they have recently increased the percentage of their IT budget allocated to workspace solutions as well as the number of workspace solutions they use. The key drivers of workspace solution investments are improved employee productivity (48 percent), improved automation and process efficiency (39 percent) and security (also 39 percent). Long partnered with the leading providers of collaboration, mobility and print solutions, CDW took the innovative step in 2017 of unifying its solutions practices around those technologies in a Digital Workspace Solutions team. In 2018, Cisco named CDW its U.S. Collaboration Partner of the Year, and Microsoft recognized CDW as its top U.S. partner in new sales of Microsoft Office 365 and Microsoft 365 powered devices. CDW is also ranked No. 1 globally for Microsoft Surface and Surface Hub, as well as for Cisco Collaboration solutions. This success is based on working effectively with customers that want to empower their coworkers with user friendly technologies that create the most innovative and productive work environment. Getting employees to embrace new modes of communication, however, isn’t necessarily easy. It takes time and encouragement – from peers as much as from management. To learn more, visit CDW’s digital workspace page, and see Nathan Coutinho, CDW director of digital workspace solutions, on the Sept. 25, 2018 edition of CDW TechVision. “We continue to win customers because we help them map collaboration technologies to business outcomes."